Members of the European Parliament have written to Chinese president Xi Jinping to condemn the arrest and continued detention of bookseller Gui Minhai, a Swedish citizen whose treatment has sparked concerns about China’s adherence to the rule of law at home and abroad. Gui, one of five booksellers who disappeared in 2015 only to resurface in Chinese custody, was snatched again from a train in January while being escorted by two Swedish diplomats. The MPs said they aspired to make Gui the last European citizen to be wrongfully detained in China, and called such cases “part of a disturbing pattern of repression” mainly targeting Chinese activists and lawyers for their human rights activities. We, the undersigned Members of the European Parliament, are writing to express our strong condemnation of the arrest and continued detention of Swedish citizen Gui Minhai, and to urge you to immediately and unconditionally release him. Pending his release, we urge to ensure he is protected from torture and other ill-treatment, allowed access to diplomatic staff, his family and lawyers of his choice, and to adequate medical care. Gui Minhai has now been forcibly disappeared twice by Chinese authorities. Shortly after being nominally “released” in October 2017, he was diagnosed with ALS, a serious neuromuscular disease. On January 20, 2018, Mr. Gui was forcibly removed from a train as he was travelling with two Swedish diplomats to Beijing. Despite Sweden’s and the EU’s protests, Chinese authorities have not only denied the Swedish Embassy’s rights under the Vienna Convention, but also suggested that Sweden’s diplomats somehow violated Chinese law by being in contact with a citizen. On February 6, the Chinese Foreign Ministry announced that Gui had broken Chinese law, and is already being “subjected to criminal coercive measures in accordance with the law by relevant Chinese authorities.” On February 8, authorities released a video and letter in which Gui rejects Sweden’s assistance, yet these were produced under highly coercive circumstances, and as such they prompted the redoubling—not the abandoning—of our efforts to free him. We expect the EU and all its member states to follow suit. Mr. Gui is not the first European citizen to be wrongfully detained in China, but we aspire to make him the last one. We should recall other cases, including those of United Kingdom citizens Akmal Shaikh – who was executed in 2009 – and Peter Humphrey, and of Swedish citizen Peter Dahlin. These cases are part of a disturbing pattern of repression, the main victims of which are Chinese human rights defenders, activists and lawyers, targeted for their peaceful human rights activities both inside and outside China’s borders. Just last month, on 18 January 2018, the European Parliament adopted yet another resolution highlighting these very concerns, calling for the release of human rights activists Wu Gan, Xie Yang, Taiwanese citizen Lee Ming-che, Tashi Wangchuk and the Tibetan monk Choekyi, and all others detained for their peaceful human rights work. 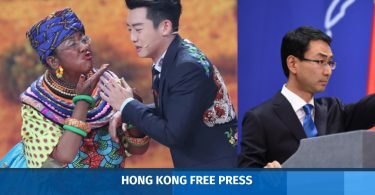 These detentions suggest that not only is China emboldened to ignore its own laws and international obligations at home, it is likely they will take place abroad. Increasingly we are concerned that they, as was the case for Mr. Gui in October 2015, will take place outside China’s borders. The European Parliament has consistently stressed that the promotion of and respect for universal human rights, democracy and the rule of law should remain at the centre of the long-standing relationship between the EU and China, in accordance with the EU’s commitment to uphold these very same values in its external action and China’s expressed interest in adhering to them in its own development and international cooperation. While the European Parliament supports the goal of collaborative, respectful relations with China, we will not allow that to come at the cost of our citizens’ safety. Your government’s releasing Gui Minhai immediately and unconditionally, and allowing him to leave China, is a critical test of that commitment. Gui disappeared from his holiday home in Thailand in October 2015 with no record of departure and re-emerged on Chinese state television months later “confessing” to a drunk-driving incident that occurred in 2003. According to his daughter Angela, he was living under police surveillance in the city of Ningbo after the end of his sentence in October. Gui was then snatched on January 20 on his way to Beijing, where he reportedly had a medical appointment. Angela Gui said he was diagnosed with the neurological disease ALS and was to see a Swedish specialist in the capital. 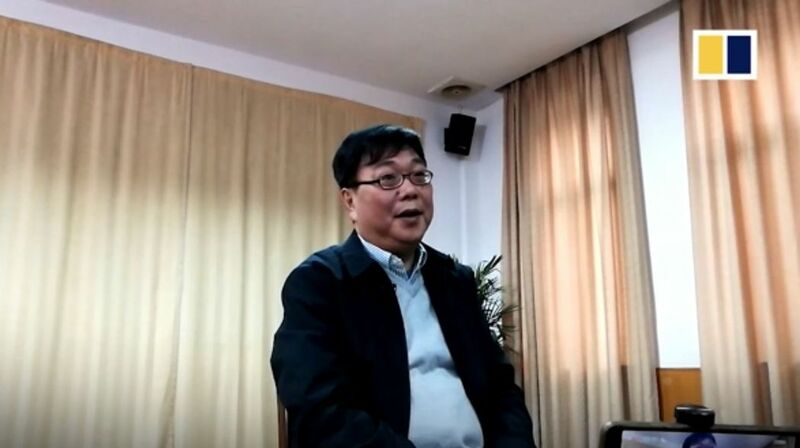 Gui Minhai in a government-arranged interview. 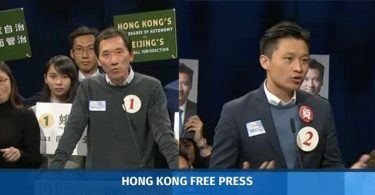 Photo: Screenshot/SCMP. 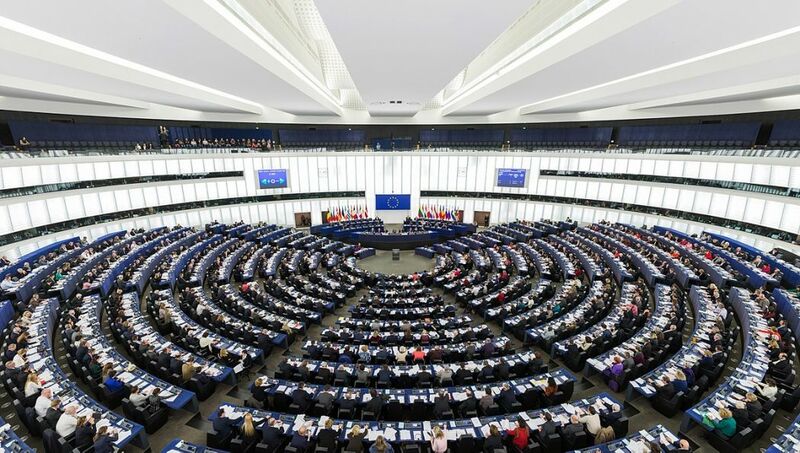 The European Parliament adopted a resolution in January urging Chinese authorities to release those detained for their peaceful human rights work including legal activist Wu Gan, Taiwanese NGO worker Lee Ming-cheh, Tibetan language campaigner Tashi Wangchuk, and Tibetan monk Choekyi. Sweden has condemned China’s seizure of Gui on the train as a “brutal intervention” contravening international rules on consular support. Chinese authorities say Gui is being held on suspicion of leaking state secrets, and that the two countries “maintained smooth communication” on the case.